Yesterday night was Chinese New Year eve. 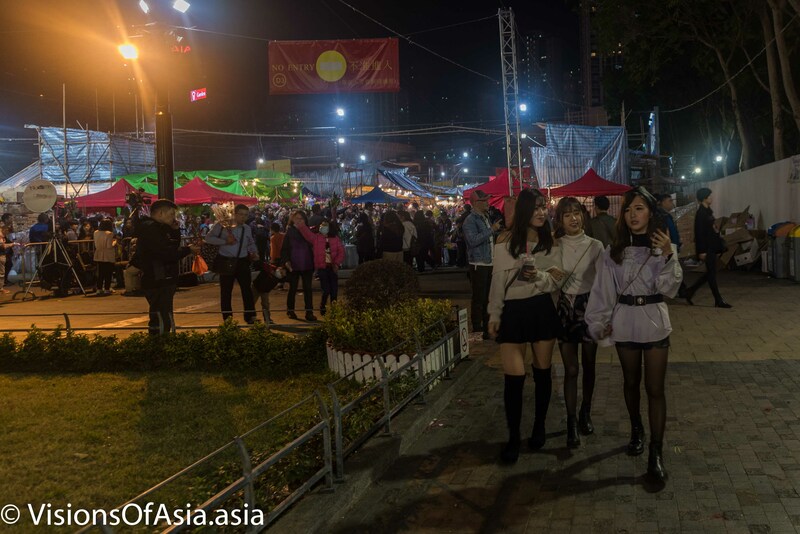 It is a tradition for honkongers to go to Victoria park on Chinese New Year eve. Mainly because of the local flower and plushes market taking place there. Chinese New Year eve is the last day of the market, so vendors are hard pressed to sell their goods as soon as possible to avoid having to throw or to give them for free after midnight, when the market closes. Highly valuable, the experience sees the teenagers throwing themselves into the fray, rivaling with ideas to attract customers. 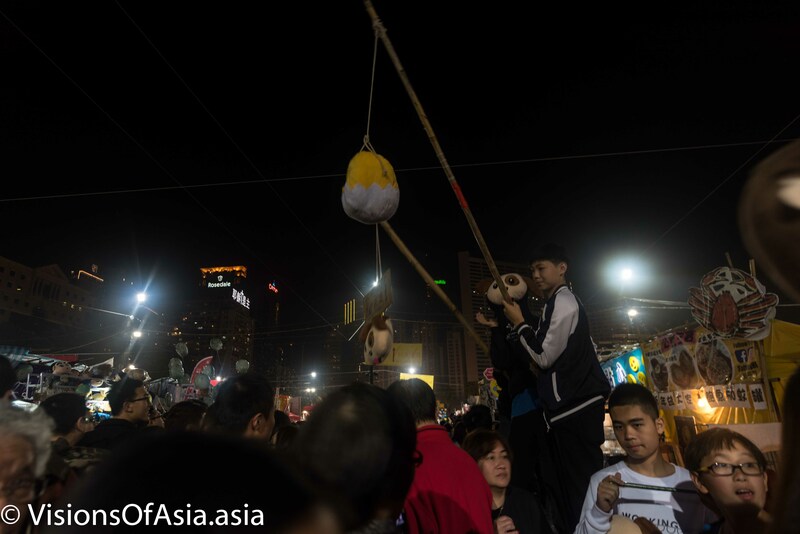 Some even tried the idea of hanging plushes with sticks above the heads of the crowd! The other big attraction of the Victoria Park CNY market is, of course, the flower market. Replete with mandarin trees and various other plants or flowers, it is an occasion for Hongkongers to come and find cheap flowers to decorate their house. 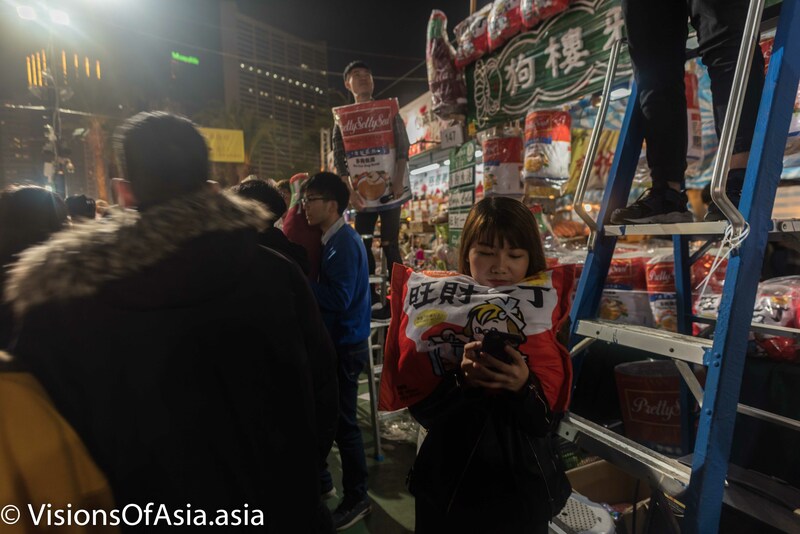 On Chinese New Year eve, you can literally see “live” vendors discounting their wares as the hour advances. As the hour advances and it gets closer to midnight, customers also hurry to get their shopping done. 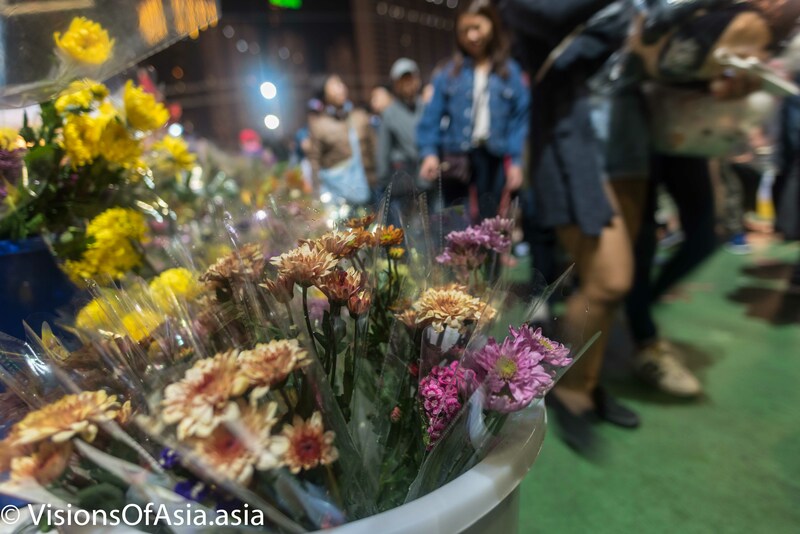 After midnight, the vendors must throw or donate their flowers, as they cannot be sold anymore. It must be said that the flowers look magnificent and are a welcome decoration. 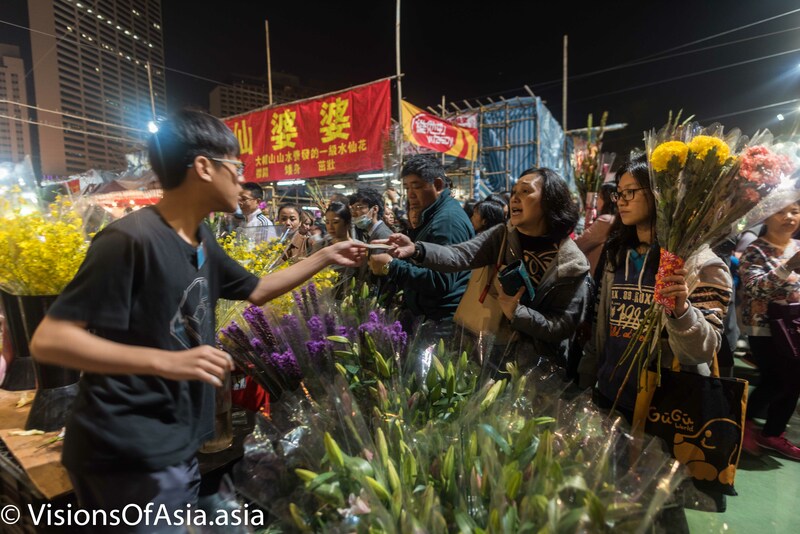 Flowers on sale as hongkongers pass by. Finally, if you are not there to buy flowers, then maybe you just go there to take pictures and selfies. It is a bit what these three pretty girls were doing in Victoria park, with their smartphones. In conclusion, although it was quite crowded, going to Victoria Park on Chinese New Year eve is an experience to try! 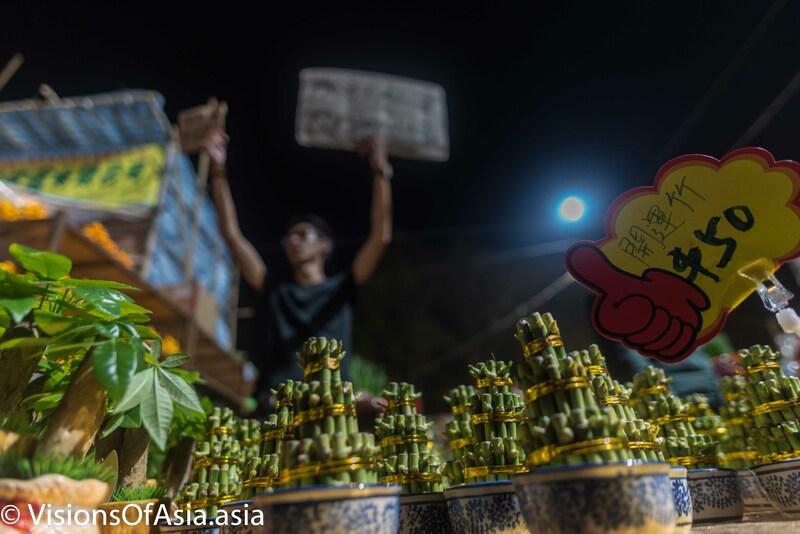 You can also read about my similar experience with Chinese New Year in Bangkok, here. 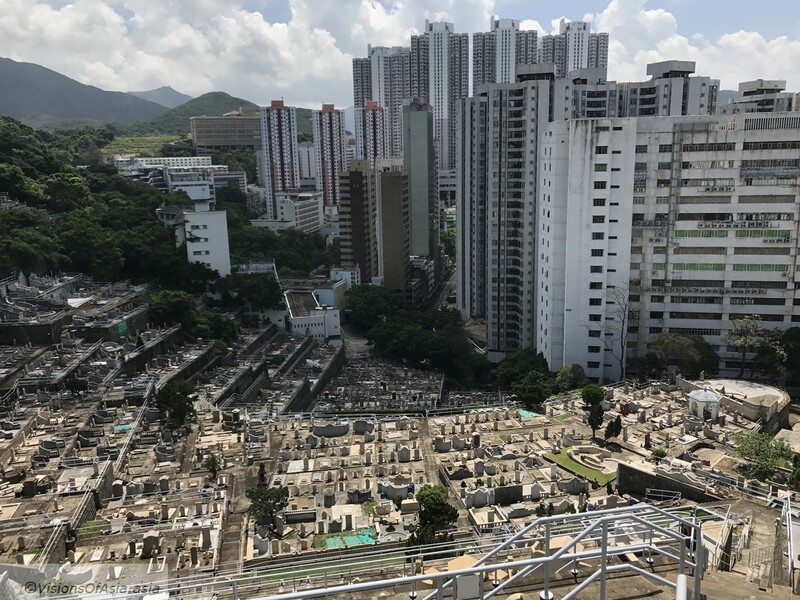 Obviously, supernatural is never very far from hongkongese, even if most profess they don’t believe in anything… Hence topics such as death, ghosts, death or haunted houses are quite taboo in Hong Kong. Why talking about this subject? Over the week-end, a crime took place in Hong Kong, at a luxury condominium called the “Coronation”. From the first facts shared by the investigators, a husband stabbed his wife, threw her from the apartment and then jumped in turn, committing suicide. This is a tragic event, per se, but a twitter commentator pointed out that the only thing some local medias focused upon, was the fall in property prices resulting from the murder-suicide. It has been reported for a number of years now, “haunted houses” sell at a discount on the overheated real estate market of Hong Kong. By “haunted houses”, it is referred to those flats or houses where a crime happened or a death took place. Some real estate companies found an interesting niche by providing a search engine dedicated uniquely to finding those “haunted houses”. 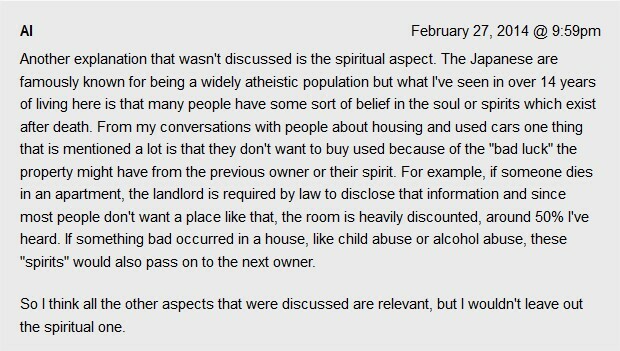 Westerners might wonder what’s wrong with owning a house where someone has died. In fact, death is an event of life in Europe, where old houses have probably seen countless births and deaths. For Chinese, the word of “death”, or anything approaching death like cemeteries, etc, are all extremely taboo. This article is quite informative on the subject if you wish to understand more about it: Unexpected Chinese Customs. Because Chinese believe in the cult of ancestors and, as in many parts in Asia (think Thailand! 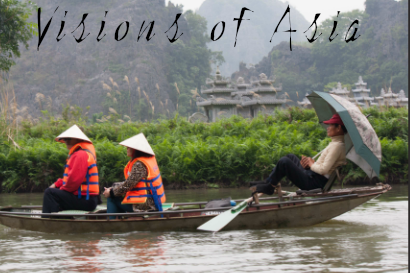 ), believe in bridges between death and living, the fear of ghosts is pretty common. Hence they shun anything even remotely linked to it like the number “4”. In Chinese, it sounds a lot like the word “death”. As destroying condominiums is not possible anymore, most of the people tend to shun those places where someone died (even if it is not obliged to reveal that someone died in the house, as in Japan). In the case of the murder/suicide at hand, some tenants who lived on the same floor where the murder took place wished to leave anticipatively (Chinese). The landlords only consented to lower the rent as they are probably aware it will near to impossible to rent the units in the future, without a heavy discount. This shows us that Hong Kong, while being an extremely advanced society, still kept elements of old Chinese beliefs firmly anchored. Somehow, ghosts and their beliefs are prevalent in the history of Hong Kong, with a high number of these occurrences linked to tragic accidents or to the Japanese occupation during WW II. A list of the most famous “haunted” places has been compiled by this web site, but there are many more. A very famous one even is on Lugard road, called the “Dragon’s Lodge”. Here also, a history of deaths and executions by Japanese during WW II. The fact is that belief in ghosts is so prevalent in Hong Kong that it can also influence the interpretation of normal health issues, such as sleep paralysis. It does also influence the way you want to conceive a “haunted manor”. In fact, for Chinese, “haunted” is not a concept to be trifled with. Hence, when building its attraction park in Hong Kong, Disney had to tweak a bit the haunted into “mystic” (not scary at all). To a degree, superstition replaces the lack of religious belief, and even in an “officially” atheist society, human soul cannot function in void. It needs some belief to cling to. The twitter commentator lamented the lack of compassion or concern for mental health of the victim/perpetrator in the story related initially. It is true that the other facet of superstition is often extreme materialism, and that is a plague affecting Hong Kong at an extreme degree. Some Hongkongese justified that “lack of compassion” with impatience of the public towards people who are seen as the “have” vs the have nots. The “Coronation” condominium is one of the high-end condominiums built in Yau Ma Tei, one of the poorest areas of Kowloon. For locals, struggling to survive in “coffin houses”, someone killing his wife and committing suicide and driving down property prices by his act must have been truly selfish to the extreme. It may appear callous, but those people struggle through much worse in their daily lives. At any rate, in the meantime, about 1,300 people showed up to participate in a lottery to award the right to purchase 4 units at a housing project…. So ghosts or no ghosts, real estate in Hong Kong does not give any sign of cooling down. I would invite you to take a look at the various articles I linked to in this post. If you are further interested about some aspects of death in the Chinese culture, you can watch my periscope on the Aberdeen Chinese cemetery below. Ah, Pak Khlong Talad! 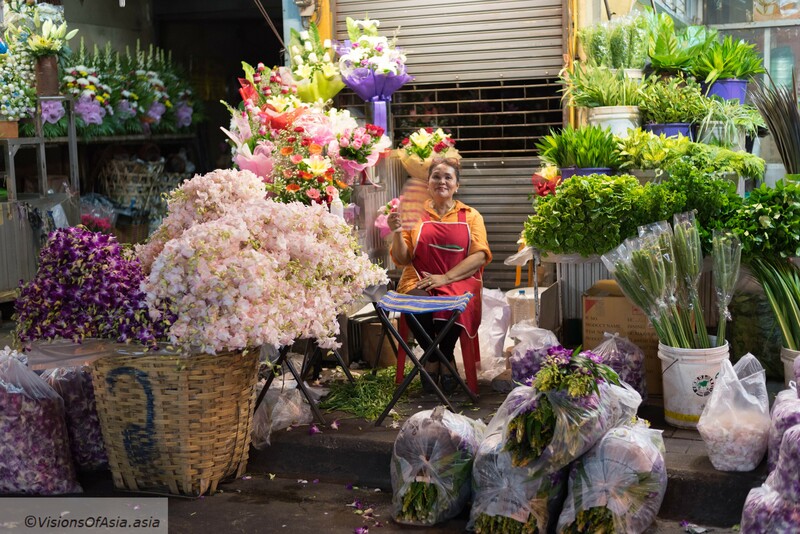 This flower market was an island of poetry in Bangkok. Especially around Valentine’s day, it was a hub of beauty and of happiness. 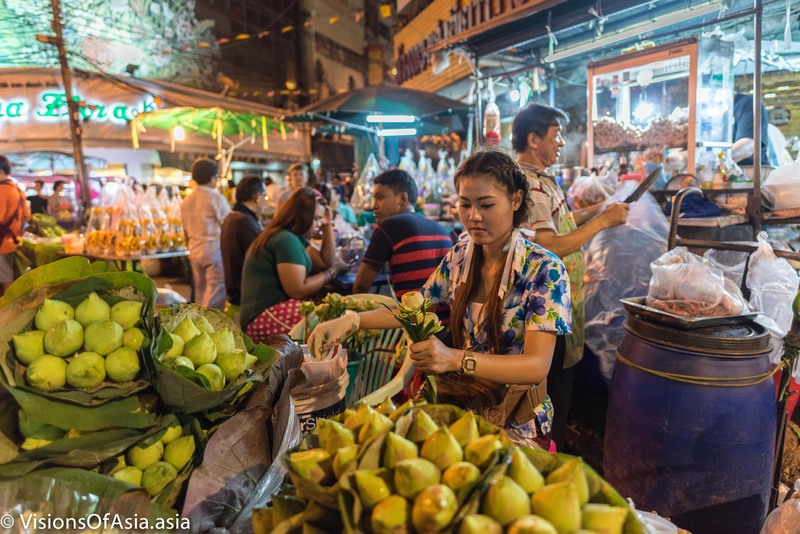 A bustling flower market, most active at night time, Pak Khlong Talad was a favorite destination for tourists. 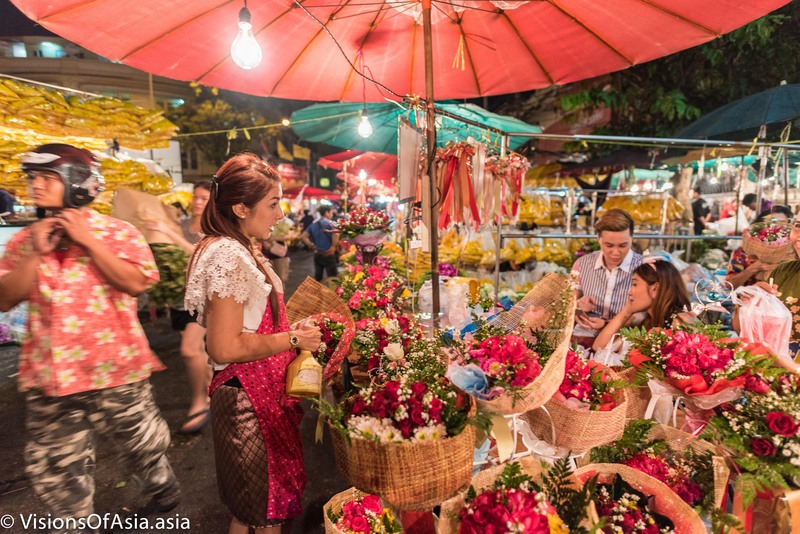 With its colorful flowers and its welcoming vendors, it was one of the most charming aspects of the Thai capital. One of the best and most colorful stalls of the market. The vendors themselves, as they sold mostly to Thais, had no incentive whatsoever to cheat or scam tourists. On the contrary, they certainly appreciated the interest of the few Westerners who took the trouble of coming and witnessing this typical market. In 2016, once again under the impulse of the Thai junta Pak Khlong Talad was shut down. In a matter of weeks, and despite the protests of the merchants, the market was shut down. This, despite the fact that cleanliness was not really an issue compared to other roadside food markets. Vendors had expanded onto the street, but that made for a lively, colorful and beautiful market. 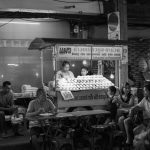 Yet, the Junta and the Bangkok Municipal Administration were relentless in their drive to push out the vendors of Pak Khlong Talad. 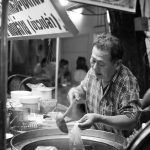 Some late protests took place by unhappy vendors, but eventually, they all had to close their stalls and move away, either to neighboring buildings, or to other areas of Bangkok. As a result, what was left behind was a large dark and empty street. 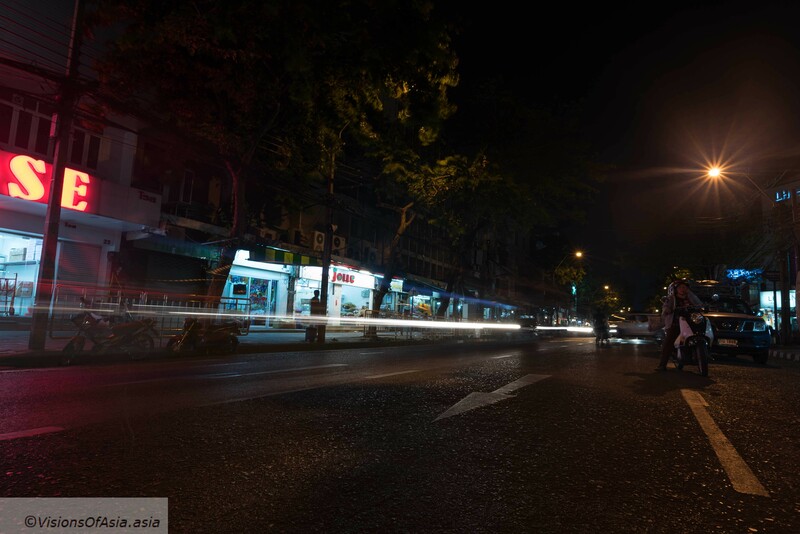 The same street after the eviction of Pak Khlong Talad. A merchant offering the cheapest sticky rice and mango of the area. 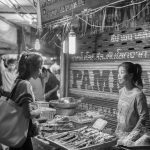 This is a two-part series on the dying street markets of Bangkok. We will consider first Sukhumvit 38 and thereafter Pak Khlong Talad, the defunct flower market. 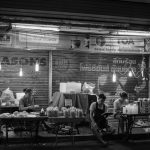 At the beginning of Soi Sukhumvit 38 was a vibrant and wonderful hub of street food. This hub of street food was resting especially on the tolerance of an old landlord who allowed low rents for the vendors in order to keep alive that lovely place. Earlier, in 2016, after the death of the landlord, his heirs sold the land to a real estate company which is planning on building another of those towering condominium complexes on that land (very near to the Thonglor BTS). 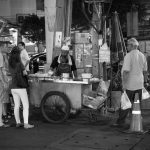 As a consequence, Sukhumvit 38 street food slowly died off, most vendors relocating voluntarily or being replaced by the Bangkok Municipal Authority into closed markets. 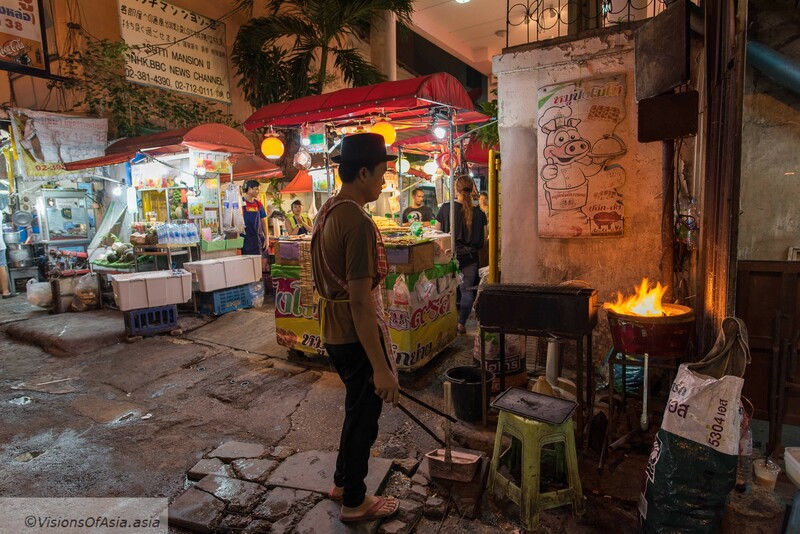 People lamented this for being the “singaporisation” of street food, but while the folklore and warmth of Sukhumvit 38 was undeniable, this had also its inconveniences, in particular grease on the pavements, poor hygiene and pollution due to the use of charcoal for open fires (see pics). 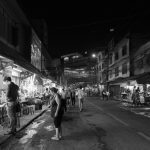 Today, the market is about dead and only pictures remain as a far reminder of a place that once enticed foreigners and Thais alike.